Water properly and follow your city’s water guidelines to save money and resources. Right now it seems like the rain will never end. We’ve had an unusually wet spring with no end in sight. But as you probably know all too well, the rain could stop at any time here in Dallas. It’s a feast or famine kind of situation. As the heat of summer comes on, rainfall will probably decline and we’ll be back to watering our landscapes. Healthy, bioactive soil is better able to hold on to your irrigation water. Building a healthy soil will mean you can water less during the heat of summer. Plus, nutrient rich soil full of microbial activity will help grow stronger plants that are more resistant to drought, pests and diseases. If you’re struggling with keeping your summer lawn looking it’s best, then it’s probably time to turn to the soil. Our soils here in Dallas tend to be heavy clay. Clay is very dense and can become severely compacted over time. Our compacted soils have a hard time absorbing water or air, so when it you water, or it rains, much of the water is lost to runoff. Or, it can become very soggy which can suffocate and damage your lawn. Soil conditioners like Liquid Compost Extract can help improve the microbial activity in your soil and its overall composition of your soil. Make sure you understand how to program your automated irrigation system and that the required rain sensor is working properly. Call us if you need a recommendation for an irrigation expert. We highly suggest having a certified irrigation specialist check your system once a year. Remember that just because we’ve gotten some extra rain, we’re still under drought conditions and watering restrictions in Dallas. North Texas has been under the country’s strictest watering guidelines for the last several years. Each city has it’s own watering code; you’ll need to become familiar with your city’s rules. There are instances in which you can water anytime. Using a drip irrigation system, hand watering and watering your foundation can all be done on any day of the week. It is recommended, however, that you follow the rule of not watering between 10am and 6pm to reduce water evaporation. Because of recent rains and increases in lake levels, many of the surrounding areas have updated their water restrictions. City of Plano is now allowing twice per week watering as of May 1, 2015. However, conservation is still requested. Sprinklers and automatic irrigation systems are still prohibited between 10 a.m. to 6 p.m., plus watering on Wednesday, Saturday and Sunday is not allowed. Your watering schedule is odd addresses Tuesday and Friday, even addresses Monday and Thursday. Live in Frisco? You can now water on your regular trash pickup day, before 10am and after 6pm. Hand Watering is allowed up to two hours each day. As of this publish date, the City of Frisco is not recommending their residents turn on their sprinkler systems. To stay current on their recommendations, go here. City of Richardson is also lifting stage 3 water restrictions. Residents can now water with sprinklers and irrigation systems twice per week based on their address. Even-numbered addresses can water on Tuesdays and Saturdays, and odd –numbered addresses can water on Wednesdays and Sundays. For variances and guidelines, go here. 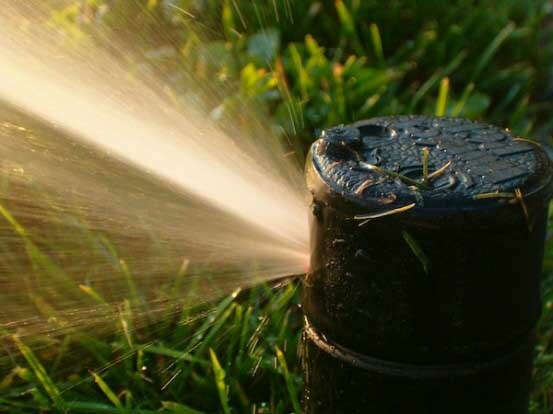 Take care to follow your city’s watering code: Not following your city’s guidelines can bring fines up to $2000. Questions about saving water this summer? Ask us on Twitter and Facebook or contact us through our website.